[NEW FROM BLOG] Why do you value love? Valentine's Day is here to show appreciation for what really holds us together. A small gift is just a gesture that we'd never forget why we fell in love at the first place. 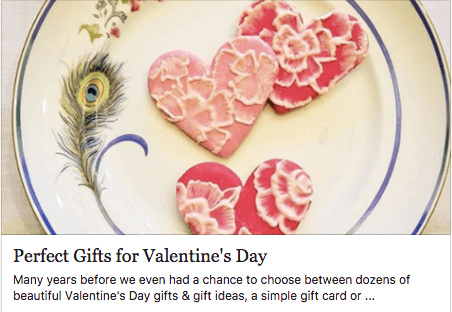 Which ValentinesDay gift idea is your favorite? On the News stands now... Traditional Home March April issue. 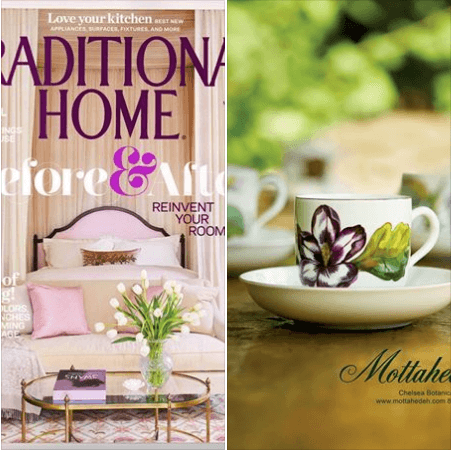 Look for Mottahedeh's new ad featuring Chelsea Botanical Tea cups and saucers. 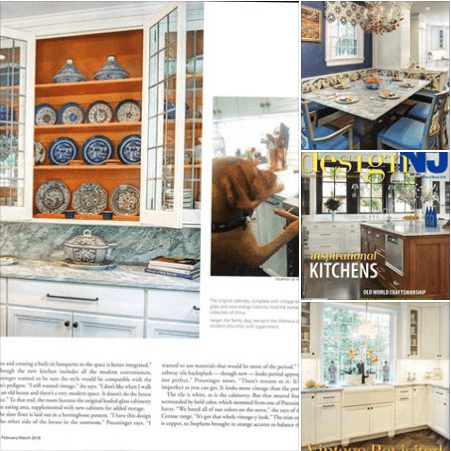 Spotted in DesignNJ February/March magazine. A charming Montclair vintage revisited kitchen accented with Mottahedeh's Blue Canton. Feeling blue with this chilly weather? 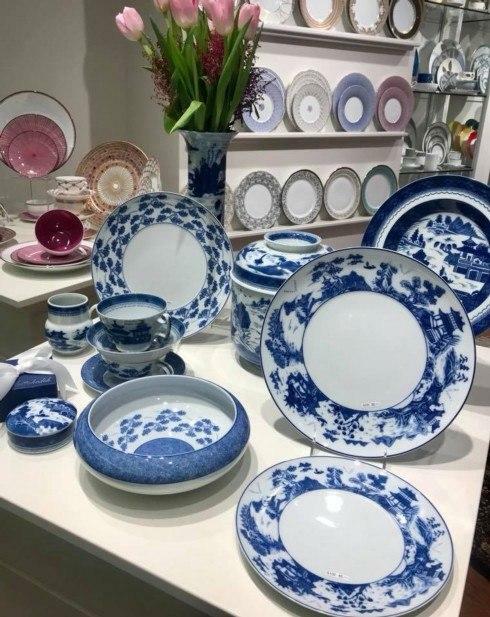 Mottahedeh has you covered, Blue Canton and Blue Shou as seen at the Atlanta Gift show. Espresso, Darjeeling, Cafe Latte, we have the perfect cup and saucer just for you. 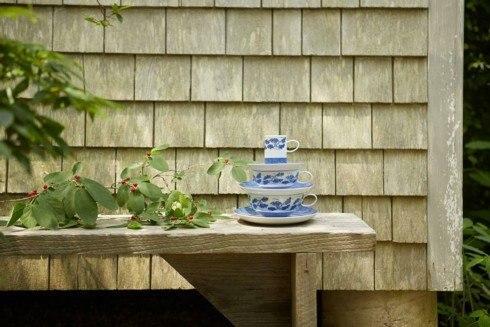 Shown here is Mottahedeh's Blue Shou pattern in Demitasse cup & saucer, Tea cup & saucer and Breakfast cup & saucer. Good morning! 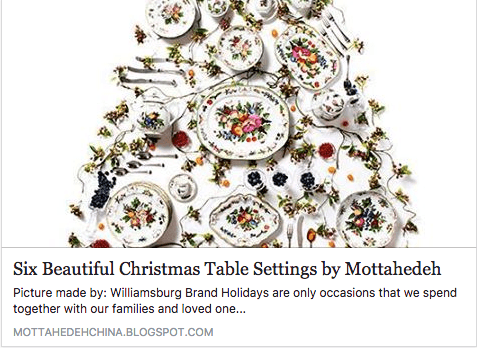 Christmas is just around the corner, so we should start thinking about some nice table settings we'll all enjoy during this event. 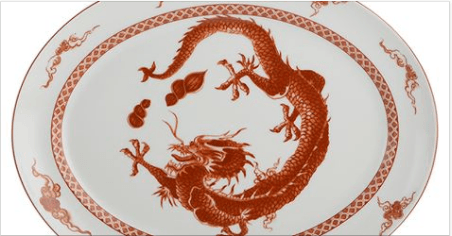 Before you check your favorites, did you know that before dinnerware, people used to eat above pieces of bread? Also, there is a big difference between eating and dining. All answers are in our new blogpost below. 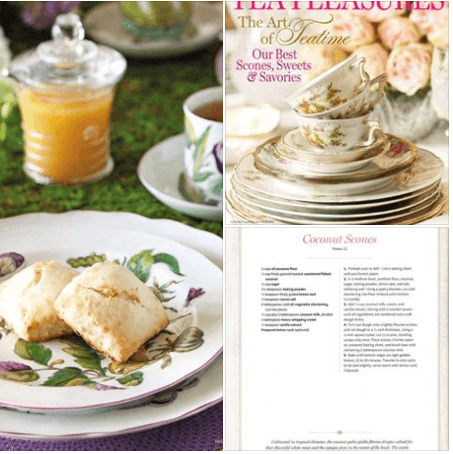 On the newsstands now... Victoria Magazine's Tea Pleasures features Coconut Scones set beautifully on Mottahedeh's Chelsea Botanical dinner and dessert plates accented on a Plum Lace service plate. It looks so good we got hungry. 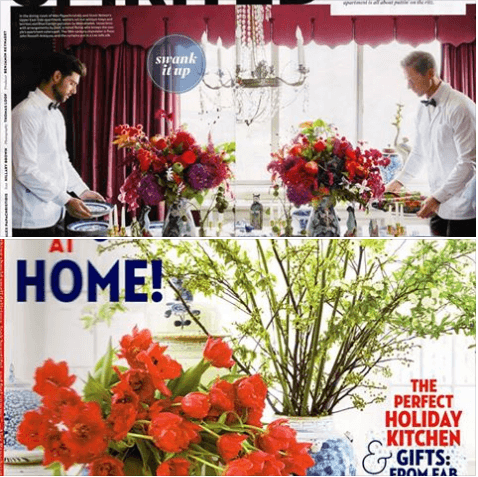 on the news stand now... House Beautiful December/January Issue. Swank it up with Alex Papachristidis. 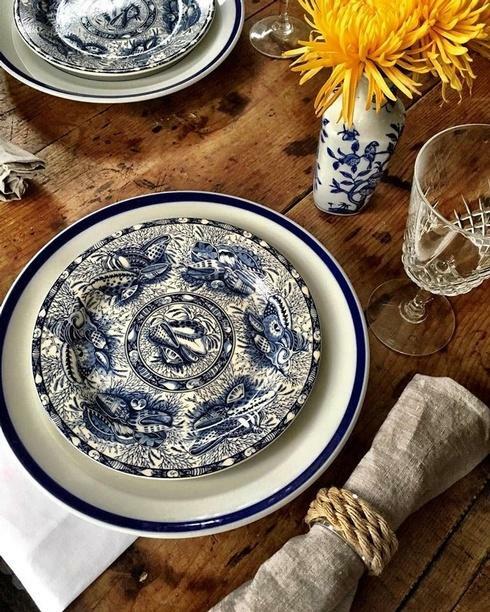 One of our favorite Designers using his extensive collection of Mottahedeh's Blue Canton to entertain his guests. Thank you Alex Papachristidis and House Beautiful.